The upcoming Apple Special Event makes many users can’t wait to try all new features of this year’s new iPhone. No doubt, that will be amazing. 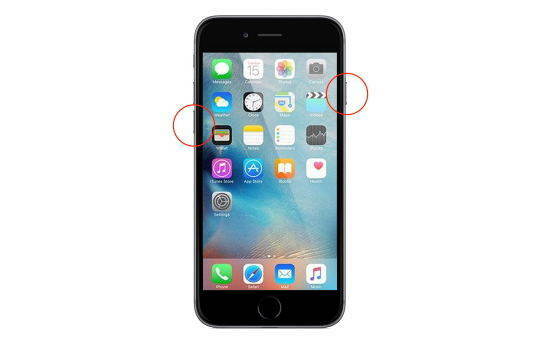 While looking forward to it, you might want to know some tips to optimize your iDevice. Apple Store recommends us new apps every week, even every day. If you want to try those amazing apps, optimizing your iPhone 7/7 plus is a compulsory course, which enables it to always work as a new one without interruption. Here we list some effective iPhone 7 memory boosters to speed up and tune up iPhone 7/7 Plus for best performance. Worrying about the files can’t be removed permanently, or need to discover those docs that are deeply cached? Tenorshare iCareFone, as the best iPhone 7 optimizer app, beyond all the same kind of software in the market, provides you with much more options to miraculously boost the memory. We are sure you will be surprised and pleased with its sophisticated well-designed interface and multiple functions. Functionality. Deeply find and remove all types of junk files, and repair various related iOS issue to make iPhone 7 run smoothly. Simple and quick. Transfer files from iOS device to computer quickly without using iTunes. Totally ad-free. Block ads on iPhone, but also iPad and iPod. 100% Secure. Deleted files can’t be recover even the app is uninstalled. 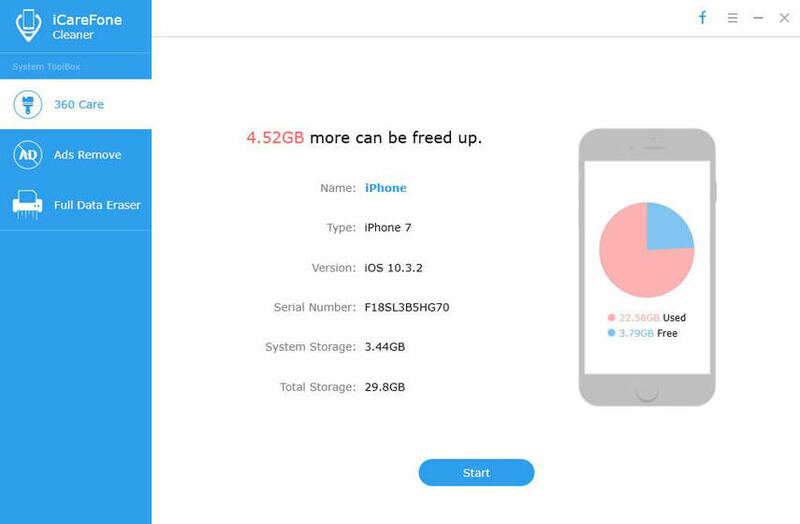 Easily backup to make your iOS data safer. In some case, it’s necessary to have iTunes installed on your computer. With a simple and pleasant interface, everyone knows how to use the program even if he or she knows a little English. When you want to boost some storage on your device or just prepare for the next software update, it can truly be helpful. It offers you several kinds of detailed cleaning. For example, the Silent Clean feature is interesting as it can sweep out your iPhone 7/7 Plus remotely. 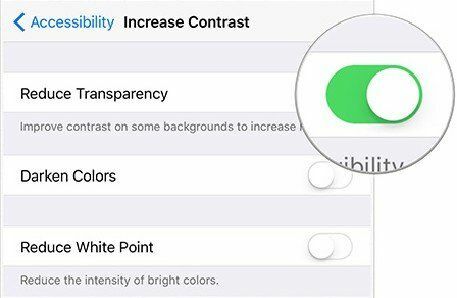 You can improve the performance of your iPhone by boosting its volume without difficulty. The scanning process takes a long while. It’s hard to assure 100% that files won’t be left behind. No options to preview the files that would be deleted. The cleaner executes only one function- cleaning. Having the iPhone 7/7 Plus in your hand is exciting. And it would be extraordinary thrilling if it stays in good condition for long term. This optimization software allows you to do the tuning up easily. It can sweep the useless cache, log files, videos, music, photos and apps, etc. from your iPhone 7/7 Plus using the software. Moreover, it can maintain strong privacy by shredding every deleted photos as well as every deleted file. The interface is not so bright. It doesn’t support temporary files clean-up. Photos can be removed, but can’t be compressed. A good choice to boost your iPhone 7 memory: erase the temporary files and other docs that are slowing down your device. First of all, you have to connect your phone to the computer and wait for the recognition. The optimizer will show you the files that are occupying the big space in your device. As long as you have a Mac computer, it is worth having this program to expand storage on all your iOS devices even like iPad, iPods. Only support Mac operating system. To sum up, instead of spending much time in trying some complicated tips, such as deleting caches of Safari manually, we highly recommend you to try these free iPhone optimizers to speed up a slow iPhone 7/7 Plus or other iPhone/iPad devices and thus to get the best experience ever!